yeah, version 1 is a mess,bad time management. I like the idea, but what to do with potatoes (just 1)? 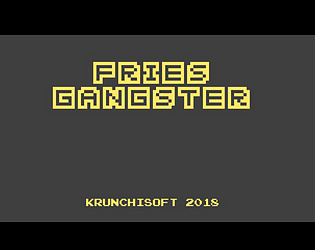 you gather potato and steal oil and go to the fryer to make fries then sell to your buyer to make more money to upgrade the fryer and buy decoration for your office and then you can expand to more branch and there will be map.there will be gun. 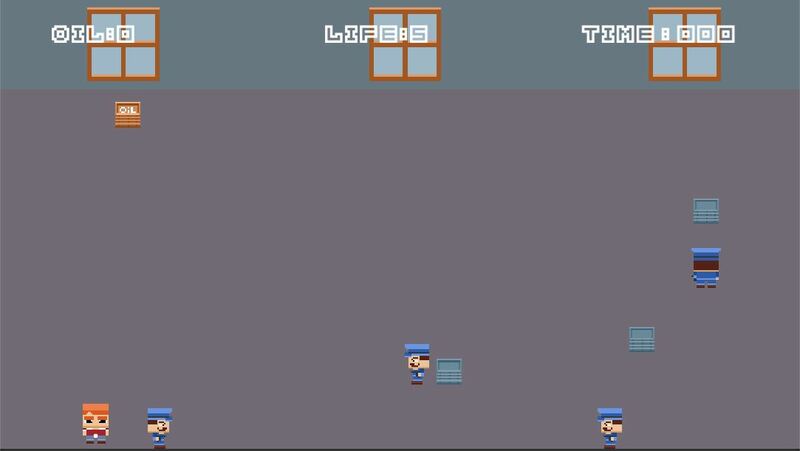 first submission still buggy as hell, working on the update right now. 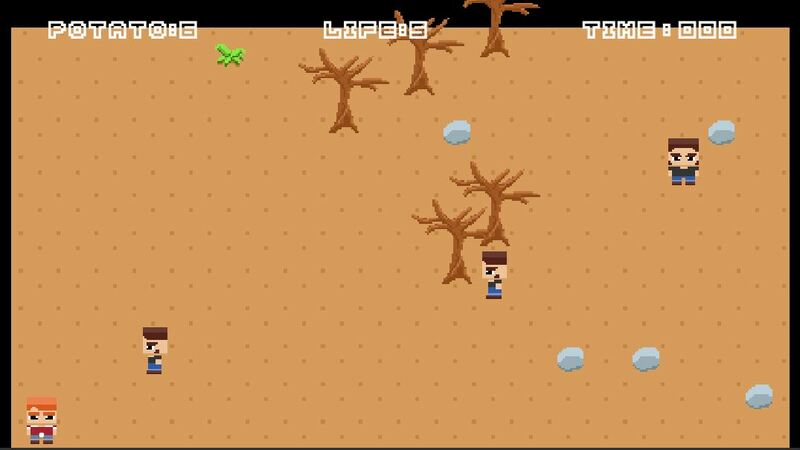 Simple controls and nice graphics. Background story was good. Victim of the "ad" --> I would like to have some fries now! Some problem with the time, always at 000. 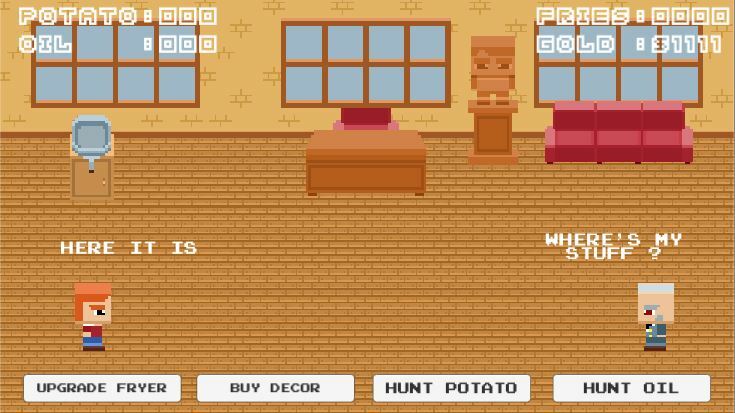 If you play the top file, you can't hunt for potatos, bottom one, you can't hunt for oil. Interesting concept.